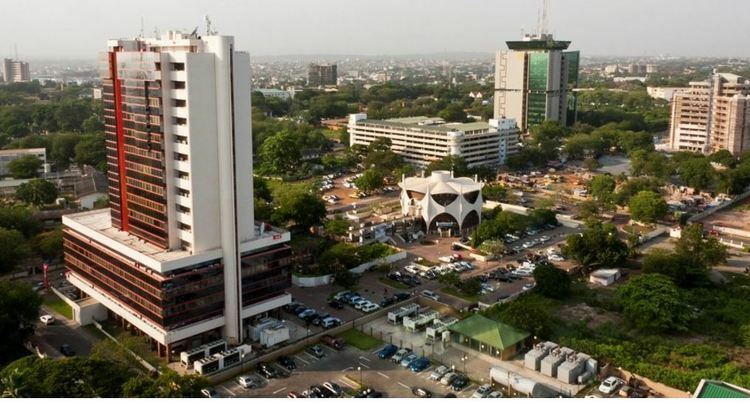 The Greater Accra Region has the smallest area of Ghana's 10 administrative regions, occupying a total land surface of 3,245 square kilometres or 1.4 per cent of the total land area of Ghana. It is the second most populated region, after the Ashanti Region, with a population of 2,905,726 in 2000, accounting for 15.4 per cent of Ghana’s total population. The Adangbe people from Ada celebrate the Asafotu festival, which is also called 'Asafotufiam', an annual warrior's festival celebrated by Ada people from the last Thursday of July to the first weekend of August commemorates the victories of the warriors in battle and is a memorial for those who fell on the battlefield. To re-enact these historic events, the warriors dress in traditional battle dress and stage a mock battle. This is also a time for male rites of passage, when young men are introduced to warfare. The festival also coincides with the harvest cycle, when these special customs and ceremonies are performed. These include purification ceremonies. The celebration reaches its climax with a durbar of chiefs, a colourful procession of the Chiefs in palanquins with their retinue. They are accompanied by traditional military groups called 'Asafo Companies' amidst drumming, singing and dancing through the streets and on the durbar grounds. At the durbar, greetings are exchanged between the chiefs, libations are poured and declarations of allegiance are made. According to the 2000 census, the region had a population of 2,905,726, making it the second most populous (total number of people) region of Ghana behind the Ashanti Region. Owing to in-migration and a high population growth rate, however, the region has the highest population density in the country. The Ga sub-group of the Ga-Dangme people is the historical population of Accra. They form the largest ethnic sub-group in the Greater Accra Region, with 18.9% of the population. The Ga peoples were organized into six independent towns (Accra (Ga Mashie), Osu, La, Teshie, Nungua, and Tema). Each town had a stool, which served as the central object of Ga ritual and war magic. 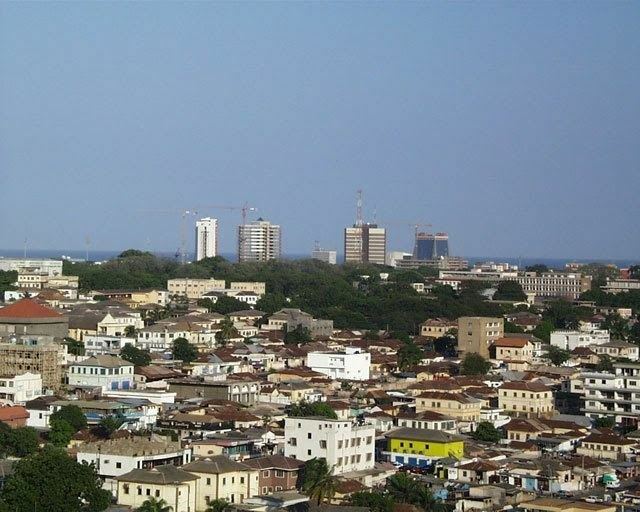 Accra became the most prominent Ga-Dangme towns and is now the heartbeat and capital of Ghana. The Ga people were originally farmers, but today fishing and trading in imported goods are the principal occupations. Trading is generally in the hands of women, and a husband has no control over his wife’s money. Succession to most offices held by women and inheritance of women’s property are by matrilineal descent. Inheritance of other property and succession to male-held public offices are by patrilineal descent. Men of the lineage live together in a men’s compound, while women, even after marriage, live with their mothers and children in a women’s compound. Each Ga town has a number of different cults and many gods, and there are a number of annual town festivals.The Adangme people occupy the coastal area of Ghana from Kpone to Ada, on the Volta River and South Atlantic Ocean along the Gulf of Guinea and inland along the Volta River. The Adangme People include the Ada, Kpong, Krobo, Ningo, Osuduku, Prampram, and Shai, all speaking Adangbe of the Kwa branch of the Niger-Congo family of languages. The Adangme People have the largest Population among the two related Ga-Adangme People. About 70% of the Greater Accra Regional Land is owned by the Adangmes located in Dangme East and Dangme West Districts of Ghana. 1.3% of the inhabitants of the Greater Accra Region are immigrants from outside Ghana. The largest portion of the population of Accra is Akan, at 39.8% of the population. The next largest group is Ga-Dangme at 30.7% of the population. After this 18% of the population is Ewe.The Ga sub-group of the Ga-Dangme people is the historical population of Accra. They form the largest ethnic sub-group in the Greater Accra Region, with 18.9% of the population. The Fante are the next largest ethnic sub-group, with 10% of the population. In 1960 the population of the Greater Accra Region was 491,817. In 2000 the population was 2,905,726. The Greater Accra region is served by the Kotoka International Airport in Accra. Four National highways – N1, N2, N4 and N6 – and one Regional highway – R40 – pass through the Greater Accra region. N1 enters the region in Ada to the east and runs west, intersecting the N2 at Tema, the Ghana Road Network Tetteh Quarshie Interchange, and the N6 at Achimota. It passes through Kokrobite and exits the region at Weija where it continues on through the Central Region to Elubo in the Western region. The N2 crosses the Eastern Regional border into Asikuma and runs north entering the Upper East Region, ending at Kulungugu. The N4 heads north from the Tetteh Quarshie Interchange, while the N6 originates from Achimota. These highways cut through the northern part of the region and terminate at Kumasi in the Ashanti Region. Greater Accra has two public four-year institutions, the University of Ghana in Accra and University of Professional Studies, East Legon, Accra. In addition, there are number of private universities and university colleges spread through the region. The political administration of the region is through the local government system. Under this administration system, the region is divided into 16 districts, as of June 2012 addition of 6 district areas. Each District, Municipal or Metropolitan Area, is administered by a Chief Executive, representing the central government but deriving authority from an Assembly headed by a presiding member elected from among the members themselves.